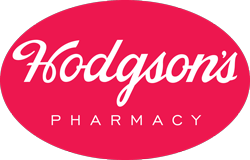 Welcome to Hodgson's Pharmacy! We've been serving the Athens community since 1956. Our friendly staff will treat you like family. Here at Hodgson's, we are dedicated to providing our customers with services that are customized to meet their needs. Whether it’s prescription medications or over the counter products, we are here to answer any and all of your questions. If you haven't taken advantage of one of our many services, call or stop by and see us today! We are a unique pet pharmacy that offers our customers the ability to find what they want easily and deliver it as quickly, reliably and securely as possible. Full service pharmacy providing prescription, compounding, and delivery services. We strive to get to know everyone by name.